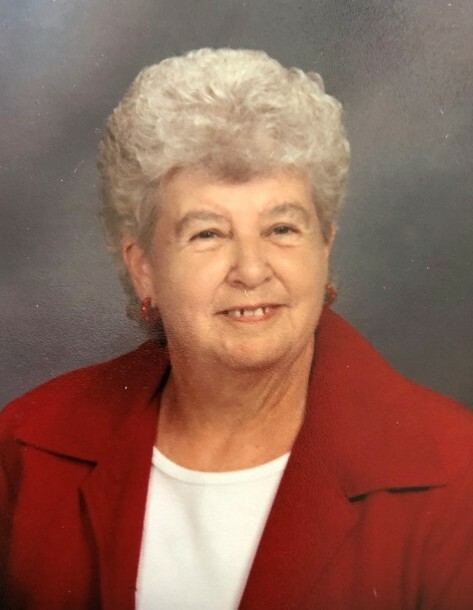 Lorraine V. Wilson, a long-time resident of Cedar Rapids, Iowa and more recently, a resident of Green Bay and Sturgeon Bay passed away peacefully on January 21, 2019. She was born March 6, 1930 in Wynot, Nebraska, daughter of the late John and Lillian (Anderson) Bliss. Lorraine retired from Mercy Hospital in Cedar Rapids as the Supervisor of Environmental Services in 1985. During her retirement, Lorraine loved to dance and was very active in local square dance clubs and other dance venues. She was active and involved in walks for various charities, such as the American Heart Association and the American Diabetes Association. Lorraine was a long-time member of St Jude’s Catholic Church in Cedar Rapids. She loved baseball and was a Cedar Rapids Kernels fan and enjoyed going to their games. She also followed and was a fan of the Iowa Hawkeyes Basketball team. Lorraine is survived by her three sons, Jim (Karen), Jack (Liz), and Jerry; daughter, Nancy (Stan) Heinelt; five grandsons, Jason, James (Sarah), Josh (Tina), Jeremy and Jackson; as well as seven great-grandchildren, Carter, Tessa, Makenzie, Oliver, Sawyer, Zachery, and Ryan Elizabeth. Lorraine was preceded in death by her parents; husband, George (Hack) Wilson, who passed away in 1968; and her siblings, two sisters and four brothers. A funeral service to honor Lorraine’s life will be celebrated on Sunday, February 17, 2019 at Bridge Point Church in Green Bay at 1:00 p.m. Relatives and friends may visit Lorraine’s family on Sunday at the church from 11:30 a.m. until the time of funeral service. Lorraine’s family requests that in lieu of flowers, donations can be made in Lorraine’s name to a charity of your choice. Huehns Funeral Home of Sturgeon Bay and Cedar Memorial Funeral Home of Cedar Rapids, IA are assisting the Wilson family. Expressions of sympathy, memories, and photos of Lorraine may be shared with her family through her tribute page at www.huehnsfuneralhome.com.